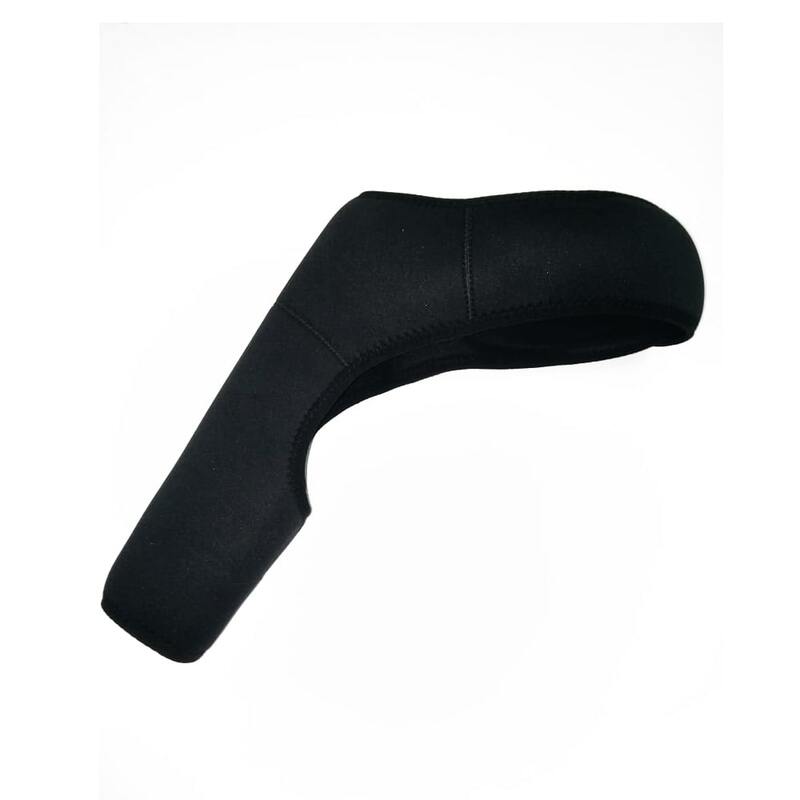 Made from lightweight, waterproof and 100% chemical stable Neoprene; maintains flexibility over wide range of temperature; provides therapeutic heat to effected area; breathable material- allows access heat to escape, no sweating. 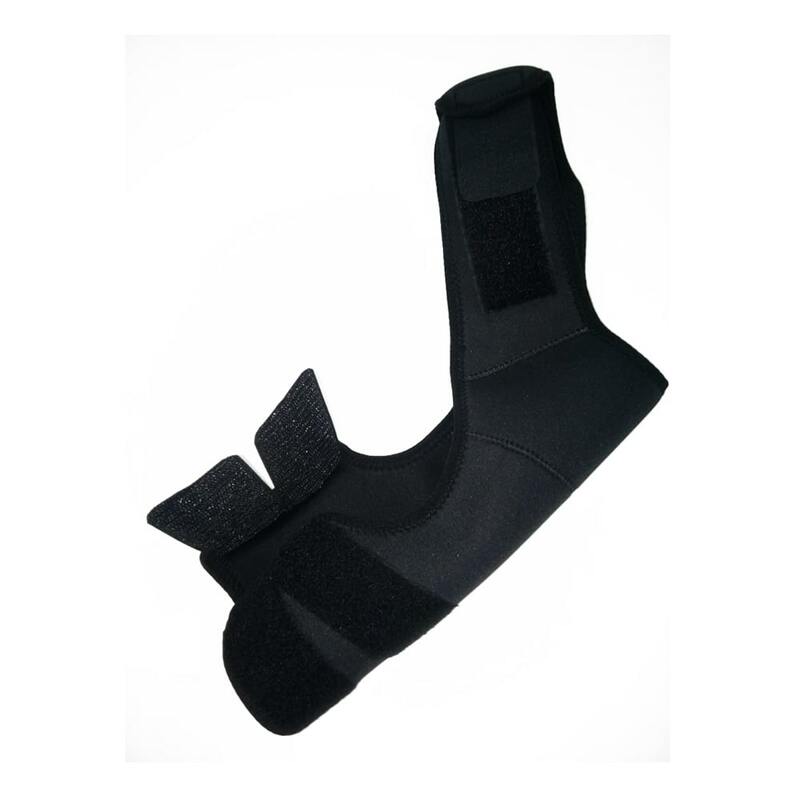 Neoprene laminated with skin friendly fabric- no irritation; durable shoulder brace - material glued (fabric glue) to join seams together and then machine stitched. 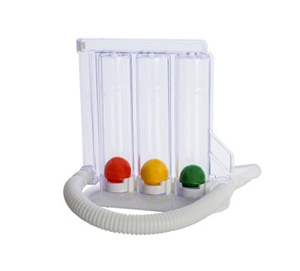 Secured, strong and adjustable self stick patches on arm and chest straps - nonslip fit. 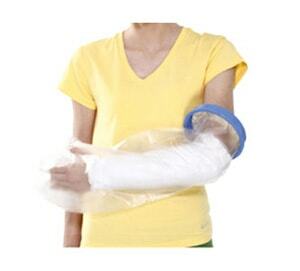 Reversible brace – suitable for BOTH, left and right shoulder. 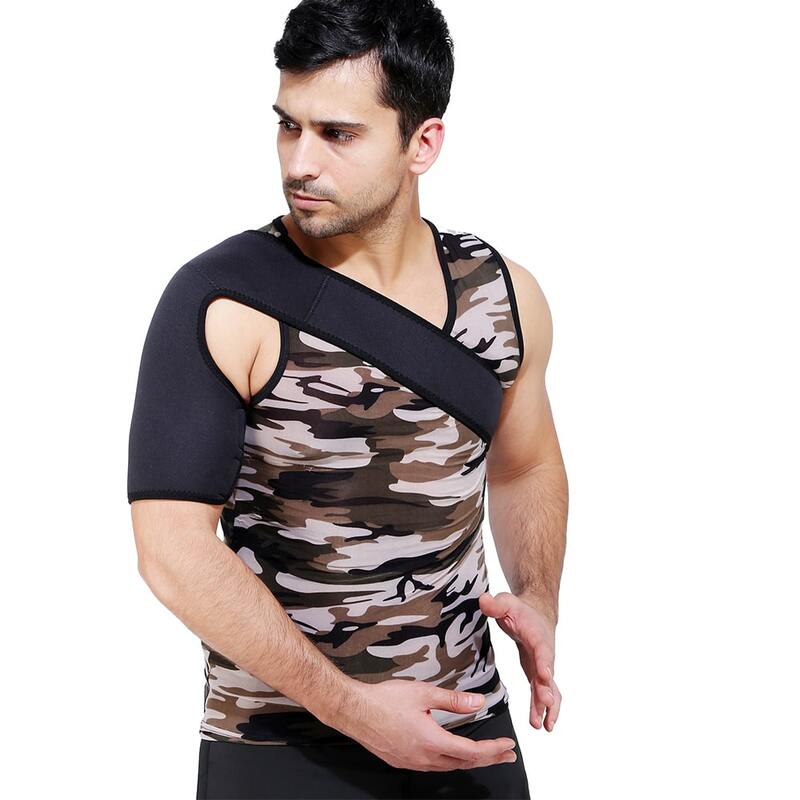 Comfortable bicep compression sleeve and chest harness - ergonomic design fits in all body type and shape. Slim fit design can be worn under regular clothing or over tees and undershirts. Easy maintenance- can be both hand and machine washed. 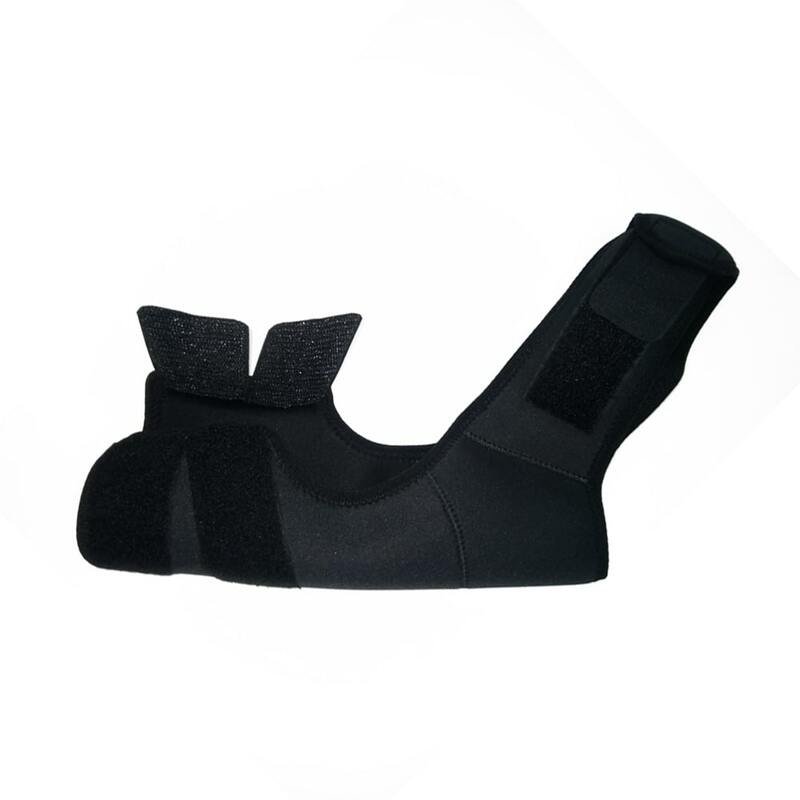 Comes in two sizes child and adult- universal and unisex design; pistol shaped cold resistance shoulder brace application- supports during exercise weightlifting, riding, climbing, driving, running, basketball and even while sleeping. HealthAndYoga(TM) Shoulder Immobilizing Brace has been designed to support the shoulder and immobilize its movement to ensure quick recovery or prevent re-injury of ruptured ligaments, tendonitis, broken humerus bone, dislocated shoulder or post shoulder surgery, shoulder muscle soreness, bursitis, frozen shoulder, rotator cuff injury, arthritis and stiff joint. 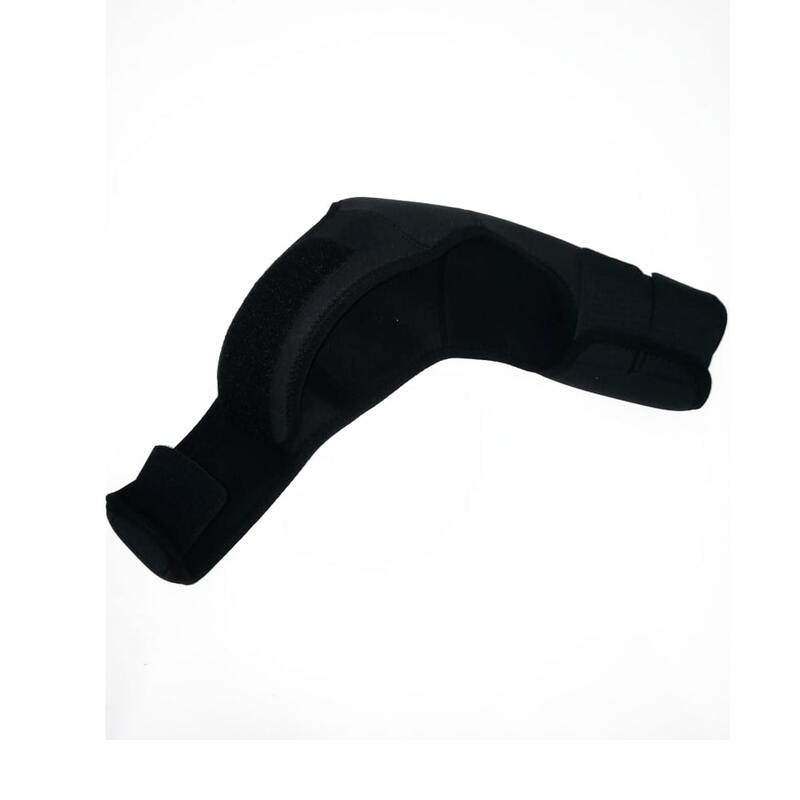 Its 100% chemical stable, lightweight and waterproof neoprene material gives the shoulder brace flexibility over a wide range of temperature. This breathable material at the same time provides therapeutic heat to the affected area and allows excess heat to escape without making you sweat. It has been laminated with skin friendly fabric with the help of fabric glue and then stitched together for that extra durability. 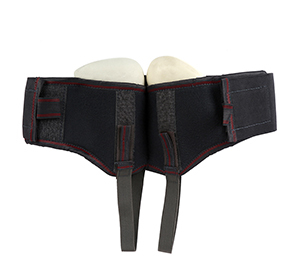 The strong fastening straps of chest and arm have been provided with wide self stick patches to ensure a nonslip fit. 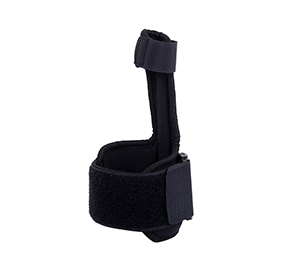 Its reversible and ergonomic design allows you to wear the brace on left or right shoulder (as required) and can fit all body type or shape. 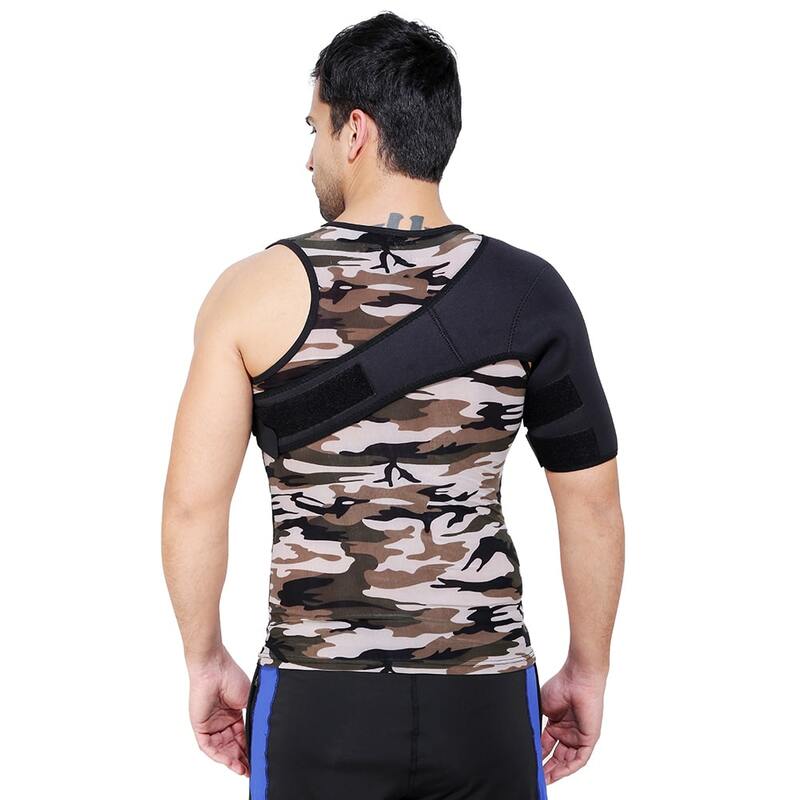 The Slim fit HealthAndYoga(TM) Shoulder Immobilizing Brace can be worn under regular clothing or over tees or undershirts and is comfortable enough to be worn while sleeping. It is easy to maintain as can be both hand and machine washed. Comes in two sizes child and adult- universal and unisex design.